The Labnet 311DS Environmental Shaking Incubator is a high-performance incubation unit with a built-in orbital shaker. The Labnet 311DS Environmental Shaking Incubator offers stable temperature conditions for a variety of laboratory applications. 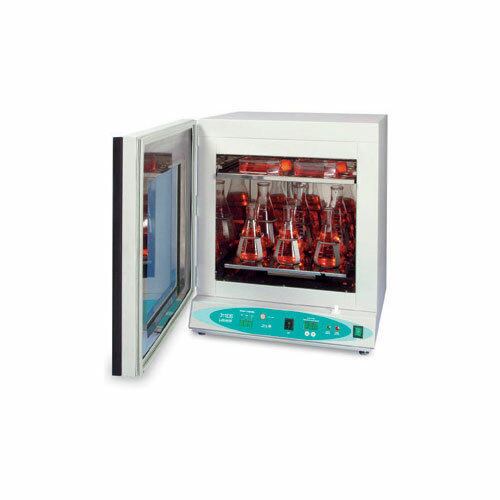 The broad temperature range of the 311DS Shaking Incubator expands the uses of this incubator to include liquid cultures, washing blots and other shaking applications requiring strict temperature control. The Labnet 311DS Environmental Shaking Incubator provides its users with outstanding uniformity and accuracy, gasket door with large viewing area, a wide selection of accessories, broad temperature range, adjustable shelves and heat stress protection.